Delhi based girl Tina Dabi has got top place among the civil services examination toppers 2016. She has achieved her success in first effort. She has graduated in political science from the Lady Shri Ram College, Delhi University. 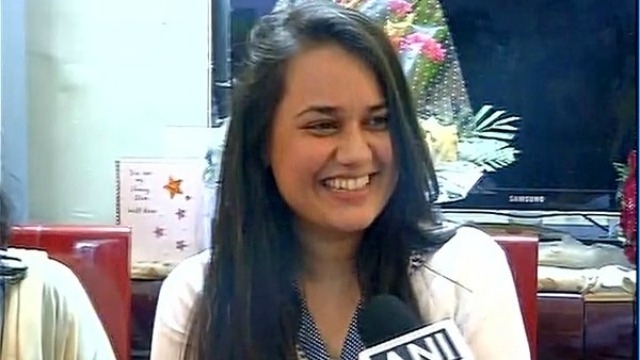 Tina Dabi said” It is indeed a proud movement for me to top among the UPSC toppers. And she described her mother as role model”. Tina’s mother wanted her to study political discipline. Therefore she chose it as her optional subject and got through in the Civil Services Examination. Tina Dabi always wanted to work in a challenging state that’s why she has chosen Haryana as her preferred cadre. Athar Aamir-Ul-Shafi Khan a railway executive from Jammu and Kashmir. He has acquired the second rank in the list of UPSC or Civil Services Examination toppers 2016. Athur hails from Anantnag located in Southern Kashmir and able passed through the test in his second effort. He got appointed with Indian Railway Traffic Service (IRTS) in his first attempt in the year 2014. And is currently going through training in Indian Railways Institute of Transport Management, Lucknow. Philosophy was his optional subject in the Civil Services Exam. A delighted UPSC topper Athar Aamir-UL-Shafi Khan said, “It is a dream come true and I will not leave any stone unturned to work for the betterment of the citizens. Jasmeet Singh Sandhu, a Delhi based is an Indian Revenue Service officer. He has got third position in the list of civil services examination toppers 2016. He was also selected in Civil Services Examination in the year 2014 and had got Indian Revenue Service (Customs and Central Excise). Presently he is going through training at the National Academy of Customs, Excise and Narcotics in Faridabad. Jasmeet Singh Sandhu is an engineering graduate from IIT-Roorkee has started his preparations for Civil Services in the year 2010. Although he was not able to clear it on his first two efforts, and get hold the IRS on his third attempt. In the fourth attempt Jasmeet Singh Sandhu’s found his name in the top 3 list of civil services examination toppers in 2016. With Punjabi literature as his optional subject he qualified the UPSC Exam. Artika Shukla a woman from Varanasi of 25 years has made her city proud by securing fourth rank in first attempt. She has got fourth position in the list of civil services examination toppers 2016. In order to listed among topper of civil services examination 2016. Artika quit her MD pediatrics course in November 2014. She sought advice by her elder brother Utkarsh Shukla to be an officer of Indian Railway Traffic Services (IRTS). Utkarsh encouraged Artika and asked her to move forward. Artika Shukla opted Medical Science as her subject. Because she has deep understanding of it that helped her to rank among the toppers list. She calls her brother as her source of motivation. She also draw inspiration from former President the late Dr APJ Abdul Kalam. Shashank Tripathi from Kanpur quit the placement session of his college, IIT Kanpur in the year 2013.He opted for Civil Services and his choice of quitting the placement session did paid him very well. It rewarded him with 5th rank in the list of UPSC or civil services examination toppers 2016.Shashank a creditable student since his school days had managed to crack the Civil Services in his first attempt as well. He had got 272 AIR which landed him in the Indian Revenue Services (IRS) cadre. however he was not pleased and this made him work hard all over again. This was Shashank Tripathi’s second attempt for UPSC examination and he was undergoing training for that in Nagpur. Shashank Tripathi wish was to serve as the IAS officer in the state of Uttar Pradesh. Shashank Tripathi said that the mantra of success was “focus” while he studies. He also said that it was challenging to revise and undergo training. And also there was always a scarcity of time, but his willpower made him through for the second time to come in the list of UPSC Toppers. Ashish Tiwari, one of the toppers in civil services examination and has been selected for UPSC in the year 2016. Ashish was selected in Indian Oil Corporation as maintenance engineer in Jaipur. But, he chose Public Administration not engineering as his optional subject for the UPSC examination. He said, “Public administration has relevance with Indian Administrative Service, that’s why he opted this subject”. While doing his job Ashish used to study 6-7 hours a day for UPSC in order to find his name among the UPSC Toppers list. Sharanya Ari is an IT engineer has secured the seventh rank in the UPSC Civil Services Examination 2016. Sharanya Ari said, although I had an opportunity to fly overseas, my parents wanted me to join Civil Services. It was her fourth attempt. It was a long-time dream of her parents to find Sharanya Ari’s name in the list of civil services examination toppers 2016. “After failure, picking yourself up and inspiring yourself is the most challenging part in Civil Services Examination. Sharanya said, unless you have family support, you will not be successful in a civil service examination. Yogesh Kumbhejkar, a Pune-based was not satisfied with his 145th rank in his previous attempt. After making it to the eighth position in his third effort, Kumbhejkar Yogesh Vijay said he was happy training as an Indian Police Service (IPS) officer. And was preparing to take the UPSC exam another time to improve his position and to see his name in the list of UPSC Toppers. Karn Satyarthi, a boy from small town Jharkhand’s Dhanbad studied on his own in order to get to his name in the list of civil services examination toppers 2016. And he got it by attaining All India Rank 9 in his second effort. “India can progress only with an abolition of gender and caste inequity,” told by Karn Satyarthi, an IIT-Kharagpur graduate in Mining Engineering. Anupam Shukla achieved the 10th rank in the prominent UPSC or Civil Services Examination Toppers 2016 in his third effort and the saying ‘third time is a charm’ definitely worked for him. He has undergone IFS (Indian Forest Service) Examination training in Dehradun and now employed in Lucknow. The Classic IAS Academy is considered the Best IAS Institute in Delhi for the students. It is a unit of well established classic group that has been into the business from the last two and half decades. It is also one of the top most IAS academies in India.